You cannot will the perfect job into existence. Just because you can’t find the perfect job doesn’t mean it exists and you just aren’t looking in the right places. At some point, you just need a job rather than the job. Frantically searching for your dream job unfortunately does not pay the bills. 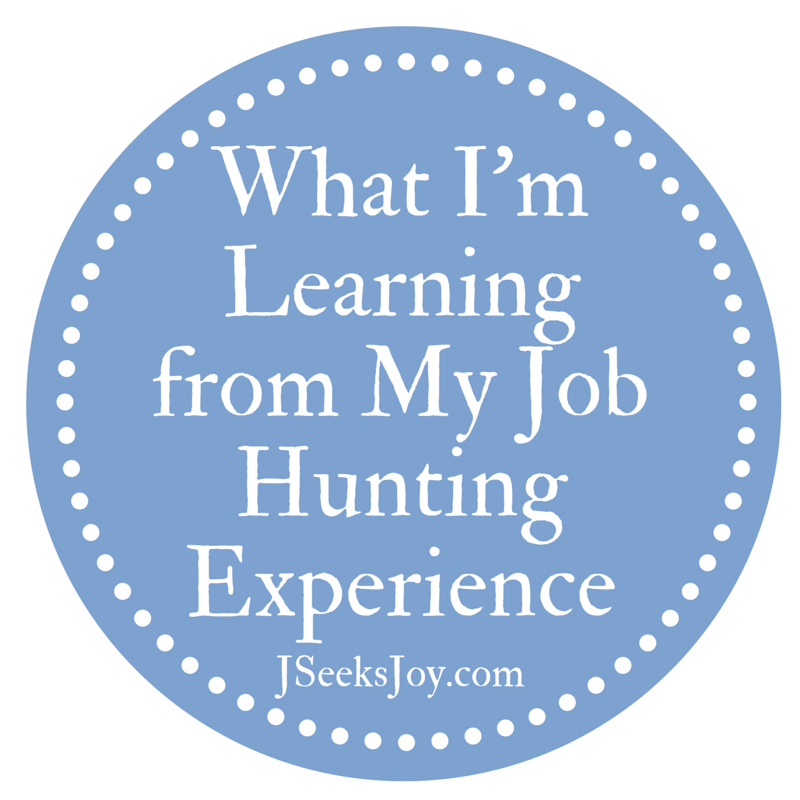 You can be choosy about where you work or which profession you want to work in, but not both. One of my professors gave me this gem and the more I apply to jobs the more I realize how true this is. I want to be an academic advisor in Pittsburgh, PA. Welp, there aren’t a plethora of advising openings in Pittsburgh, so I’m going to have to give up this city or get a job that isn’t in advising. You degree ≠ employment guarantee. You might have the right credentials for a position, but often having the right degree isn’t enough. You know what else you need? The right attitude, experience, disposition, and skill set. Sometimes you are the bug, but you are definitely never the windshield. When you’re dying to get a job, any job, you never get to turn a job down. Sorry, but desperate times call for desperate measures. Once you have some experience under your belt you can give that a go. You Can. Not. Give Up. Ever. At all. If you’re prone to pessimism, this can be hard. It can be so easy to take a job rejection personally; to believe that it will never happen for you; that no one wants you and you’ll be unemployed forever. These thoughts are like chocolate covered raisins. They’re immediately delicious as you bite into the wonderful chocolate-y outside, and then you realize it’s a raisin in there instead of a peanut and you’re worse off as you try to get the raisin out of your mouth. You have to learn how not to get defeated. Martin Seligman wrote a wonderful book called Learned Optimism and I highly recommend reading it if you think you’re prone to think pessimistically. It can help you keep going when you really feel like throwing in the towel. Learn to love the cover letter. The cover letter is really a double edged sword. You dread it because it means taking the time to sit down and write a letter when you just want to apply for this job already. But on the other hand, this is your chance to sell yourself. Milk it. Give it all you got. This is probably the only chance you have at getting their attention apart from your resume. They may have never seen you face to face or heard of you before, so this is your chance to tell them why they need you. Why you need them. Why this is something you’d be good at. Why you want it. Why they should bother with taking the time to interview you. So yes, cover letters are something no one enjoys writing (I think I say safely say that) but it is well worth the effort. Have someone look over your resume. This can never hurt. Well, maybe your pride. But either way, you might think your resume is stellar, but someone with more knowledge or experience might think otherwise. Be open to constructive criticism. Your undergrad institution will help you with this whether you are still in school or have graduated. They want their alumni to be successful as that’s part of what makes them successful! Get in the zone. Auto Zone. Sorry. Some things just need to be done, you know? Anyway. Dedicate time to applying to jobs. The whole shebang. Finding openings, writing cover letters, reviewing your resume and finally applying. I’m sure you’ve heard it so many times it makes you turn green, but finding a job is a full time job. And the pay? It’s terrible most of the time, until you finally get it right. Always be ready for anything. Have copies of your resume printed and ready to be distributed. Carry a few around with you. (I’m serious. Just make sure they don’t look like your dog got to them first since you’ve been carrying them around with you. Keep them in a folder). Have your interview outfit dry cleaned, wrinkle free, and waiting for you. Attempt to expect the unexpected. I say attempt because it is somewhat impossible, but the more you can anticipate and be prepared for certain situations, the more likely you can seize a sudden opportunity. You can take my advice with half a grain of salt since yes, I am unemployed at the moment, but I’m also 5 weeks away from having my master’s degree in academic advising. Good luck if you’re looking for a job; may the force be with you! And hey, if you want to hire me, call me! I love your site! I’m trying to break into higher education and stumbled across your site in the process. Do you have any tips on how to Network effectively? Jessica, thanks for your comment! In addition to the advice in this post, I would say that getting involved is absolutely necessary. If you know which part of higher ed you want to get involved in (student affairs, academic affairs, teaching) join an association and try to attend a conference or event. It shows initiative that you’re staying active in the relevant field, and it’s a fantastic way to meet people who do what you want to do and will be full of advice and connections. Even better, volunteer to help out at an event. Other than that, the informational interview is a great way to get to know what credentials you might be lacking to break into the field. Higher ed is definitely not an easy field to stroll into, so be prepared to wait a while for it to happen. If you’d like, you can shoot me an e-mail at JP@jessicaphilo.com. I’m interested to know more about your background and your aspirations. I look forward to hearing from you!